Introduction for Fred Patten Presents – History of Furry Publishing. 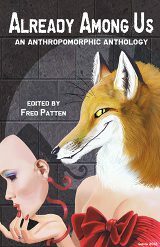 It’s an honor to host articles by Fred Patten, “Furry’s favorite reviewer and historian.” There’s minimal management, supporting him to post what he wants. Many are reviews and some are in depth writing from his experienced perspective. Those are the ones I want to select for a new feature. FRED PATTEN PRESENTS joins other features: INTERVIEWS FOR FANS AND FURRIES – THE “FURCLUB” SURVEY – and FURRY GOOD IDEAS. While I shake my sore paws after many hours of tedious book cover image layout for Fred’s pieces… I wanted to announce it, and toss a little “outtake”. Dear Patch; I have finished my History of Furry Publishing. I assume that Jonathan’s Thurston Howl Publications will publish it as a book, and Dogpatch Press will publish it online, hopefully with as many of the illustrations as possible. It’s much better than I could write. I’d tried to start a piece, but I don’t heavily browse the indie publications. Here’s a piece of the draft I left sitting. I wonder if it could make a part 2 beyond fan publishing, but it’s probably best for someone else. Most are “faux” furry – by outsiders. Those may come up in search on Amazon, and not much more. With next to nothing available to the general public in “traditional” print (not fan press), this selection is evidence of poor exposure that could improve. A stack of books says something about their reader. What would the clerk think of you as she rang these up? What would a stranger at a coffee shop think of you lounging with these? You shouldn’t apologize for liking what you like. But consider the position of a writer pitching a furry book to a publisher. 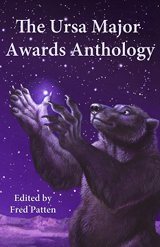 If we broaden the topic, we could add all kinds of lit that inspires, and sci-fi or fantasy novels and anthropomorphic children’s books. But those generally aren’t conscious about this subculture. More often than not, the few that name capital-f “Furries” have dubious cred and exploitative aim. No fair – when I was a kid, before the internet, good stuff like that was hard to find and took dedication, with few standouts like Redwall. Kids these days are spoiled. Who am I kidding? I don’t have time to read all that. (Get off my lawn you kids). So there is a ton of anthropomorphic fiction. It’s just not all that “subcultural”.